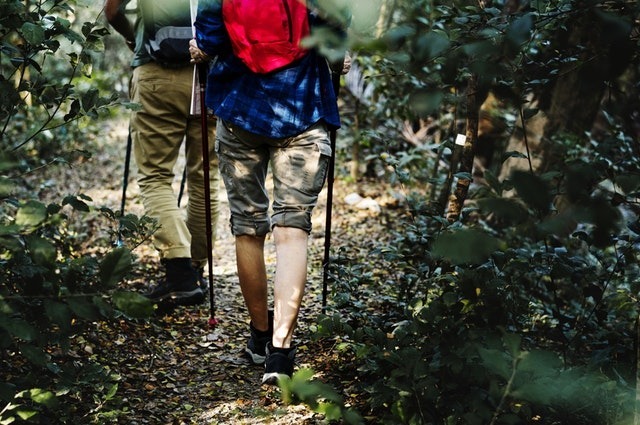 Hiking is a healthy way to exercise while exploring the natural landscape of your immediate environment. However, like every activity, it’s required that you have some essential equipment and knowledge before carrying it out to be successful. Before you proceed on a hike, run through this list to make sure you have everything you need. When embarking on a hike, try as much as possible to obtain a waterproof map, compass, watch, and itinerary. These instruments will help you know where you are, how far you’ve come, and how much farther you have to go. In addition to that, they can help you locate water, campsites, and a quick exit in case of an emergency. This is pretty basic. Just get a tent or a tarp with tent stakes and cords to tie it down. While the forecast will generally be right on the weather predictions, it’s advisable to pack extra clothes for your hike. You don’t want to be caught in the rain without protection. Take along rain gear and extra clothing. Dressing in layers helps you adjust to changes in the weather. Make sure to avoid cotton clothes because they hold moisture close to your skin. Also, remember always to take a hat. Wholesale for everyone has hats that are just perfect for hiking. The type of footwear you use for your hike depends on the time of the year and the terrain you’re going to hike in. If it’s during the wet season and the terrain is more technical, you’ll have to use hiking boots. On the other hand, if the hike is a short one in less technical terrain, you can go for regular running shoes. Carrying more than enough water and food may just be how you survive the hike. Any series of unexpected events can come up while you’re on the hike that makes you stay longer. That’s when the extra food and water start to count. You should also take along bear canisters or bear bags to protect your food from animals. Carry along sunscreen and sunglasses to help protect your skin and eyes from the scorching sun. Sunglasses can also help during a snowfall to prevent snow blindness. Include a lighter, torch, and a whistle for keeping safe, especially during the night, and for calling for help when in danger. Your knife, scissors or multipurpose tool, and duct tape can easily be used to fix things like a leak in your tent, to remove splinters, and to cut pieces of cloth into bandages when necessary. This is where everything goes in. You want to get a backpack that’s large enough to hold all your essential equipment with different pockets, but still make you able to move smartly. Try not to overpack when planning for a hike. You might end up carrying a hefty bag for a long while. You can get pre-packaged first aid kits for hikers at most outfitters. They work more effectively when the user knows when and how to apply them. It’s important to get a good education in first aid administration before hiking.